For London clients only. Our antique goldwash Chiavari chairs for hire are for London clients only and provide a wonderful extra addition to our wider Chiavari chair hire range which is available today here at Event Hire UK. Almost any event or occasion will benefit from using goldwash Chiavari chairs, including weddings, corporate dining events and other banqueting occasions. 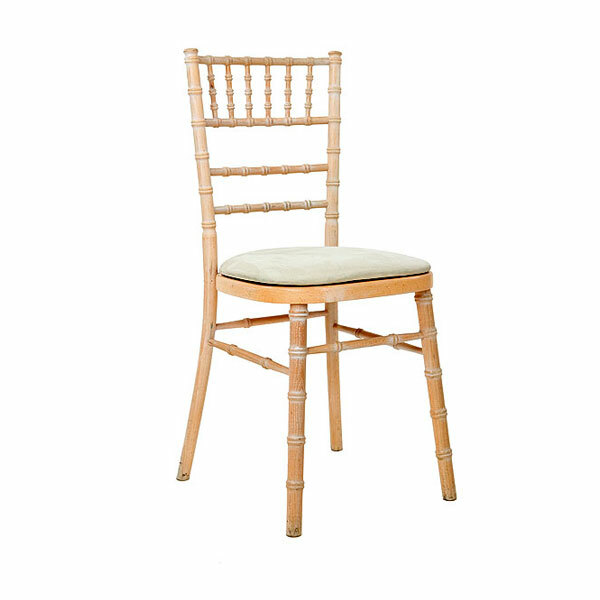 You can hire old style goldwash Chiavari chairs in the quantities you need, safe in the knowledge that when you hire furniture and hire chairs from Event Hire UK, you can sit back and relax and let the experts provide the service that we are renowned for. 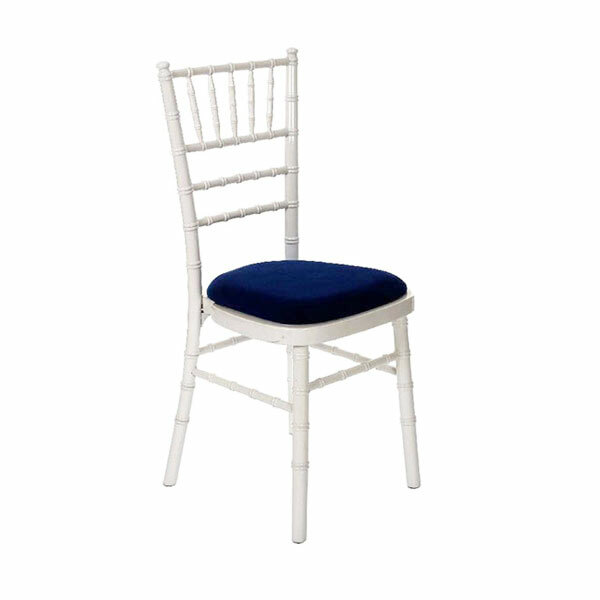 The style of Chiavari chair is well known in the world of hospitality, as these are the types of chairs that you will find at the majority of marquee weddings and other similar hospitality events. 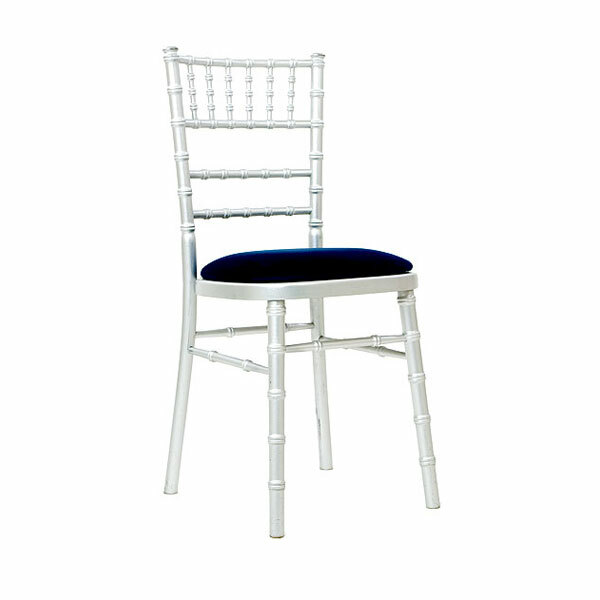 Chiavari chairs are characterised by their mix of vertical and horizontal batons and spindles on the rear of the chair, providing both a comfortable and stylish chair hire option for event organisers and their guests alike. The great thing about our range of Chiavari chairs for hire is that you are able to choose your seat pad colour from our range of options. This allows you to tie in your furniture hire and chair hire with your existing or planned event decor. 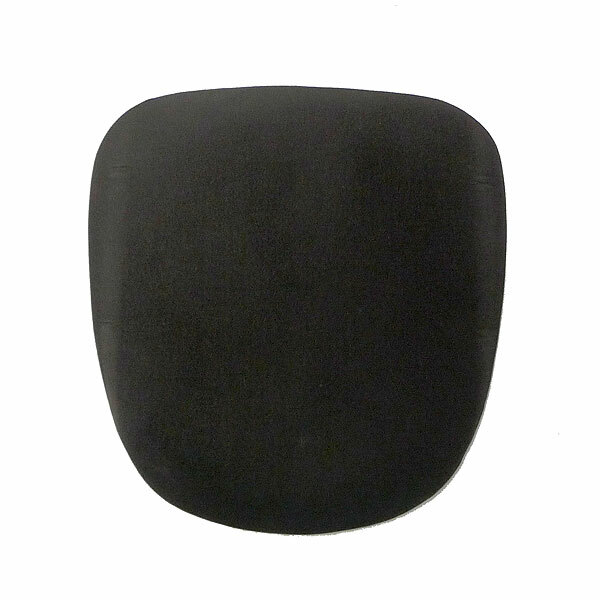 Most event organisers choose to have a single colour of seat pad across all their Chiavari chairs. However, for some events, organisers will mix and match or evetn have random seat pad colour choices. Whatever your preference, here at Event Hire UK we can accommodate your specific requirements. Contact the chair hire experts online today at Event Hire UK - we will be delighted to assist you. Q: What does antique goldwash mean? 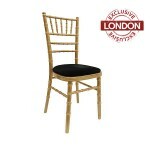 A: Antique goldwash refers to the colour of these Chiavari chairs, and is different to our gold Chiavari chairs. Gold wash means that these gold chairs are gold in colour but have almost a distressed look and appearance about them, following a similar principle to limewash Chiavari chairs for example. 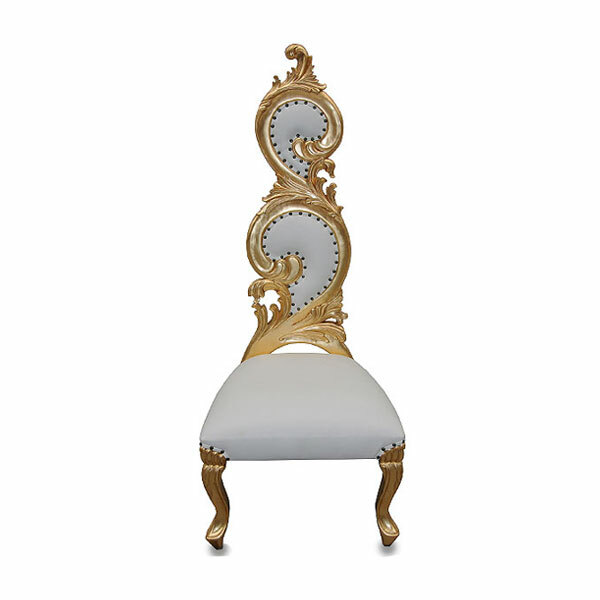 These chairs are a kind of speciality Chiavari chair colour, with the mainstream colours of Chiavari chairs in the market currently being limewash, gold, silver, white and black. 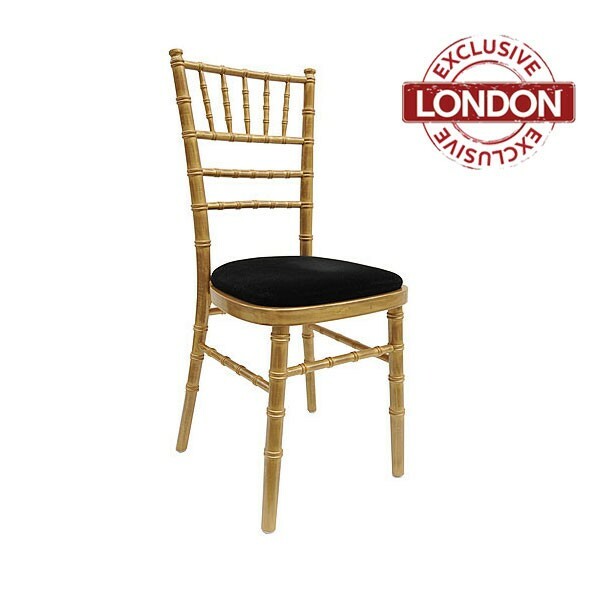 However, here at Event Hire UK, we always aim to provide our client base with as extensive a range of chiavari chairs and other furniture hire products as possible, and so tthat's why you find antique goldwash Chiavari chairs as part of our current range. 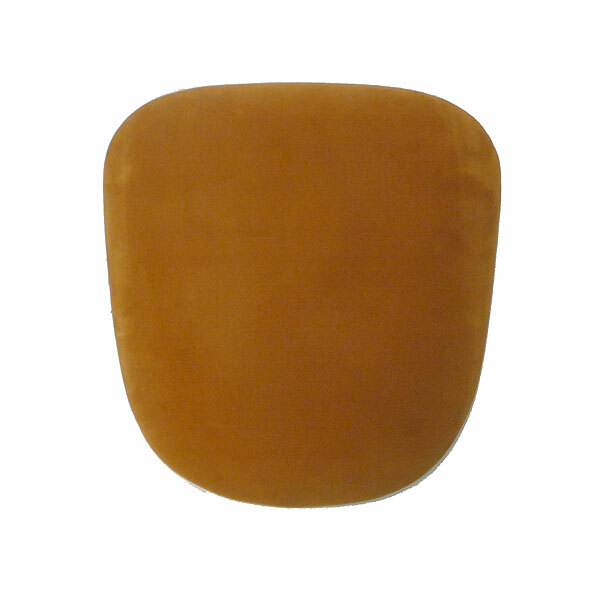 A: Yes - we offer a range of different seat pad options so that you can tie in your chair hire with your event decor. Choose from black, gold, red, ivory and others here on the website. Q: Do you offer a supply and set up service? A: Yes we can set up Chiavari chairs according to a pre-determined plan if you so wish with which there would be an associated charge - please discuss this with a member of our sales team in more detail.